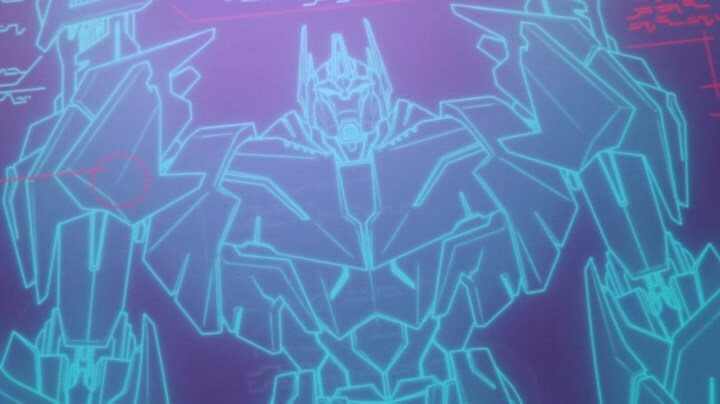 Re: Prime Ultra Magnus already seen? Not necessarily... In this series Ultra Magnus is part of an Autobot Black Ops unit... which means his missions are secret... Also Wheeljack didn't know Optimus very well when we were first introduced to him in this series, especially considering that he was untrusting of him and Bulkhead had to vouch for Optimus. Which leads one to believe that Optimus doesn't personally know all the Autobots in the present... and since his memory was wiped to Orion Pax state, he probably never knew about a Black Ops guy back then when he was really Orion Pax. EDIT: What I mean is... you have to remember that before he became Prime he was an archivist who didn't get out much. From the possibly related TF: Exodus novel we know that he knew Jazz and Alpha Trion when he was an archivist... and met Megatronus/Megatron towards the end of his time as Orion Pax. Most of the other Autobots and Decepticons though were introduced to him well after he became Prime. 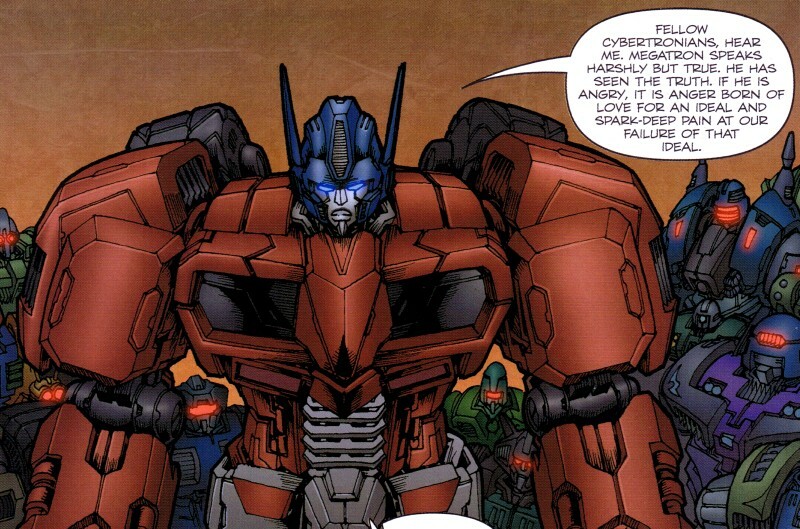 Not that I'm agreeing with Ironrod, but Optimus did know Ultra Magnus prior to getting the Matrix. 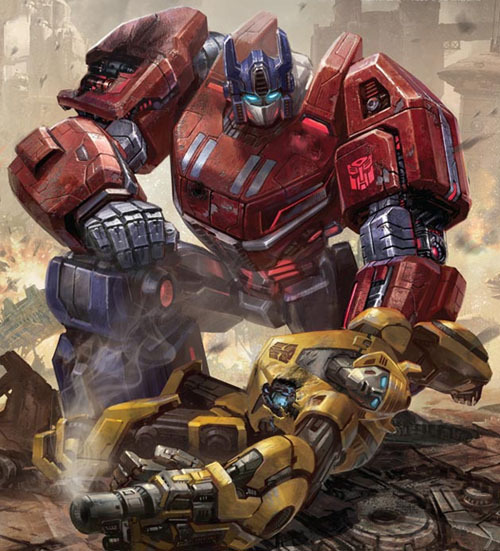 Magnus led many battles with the Wreckers during the war when Optimus was in charge, and both him, the Wreckers, and Cliffjumper all guarded the entrance to the Well of All Sparks while Optimus and co. went underground to purify the Core. Though, it is true that Optimus didn't know Wheeljack at all until the present day. Sabrblade wrote: Not that I'm agreeing with Ironrod, but Optimus did know Ultra Magnus prior to getting the Matrix. 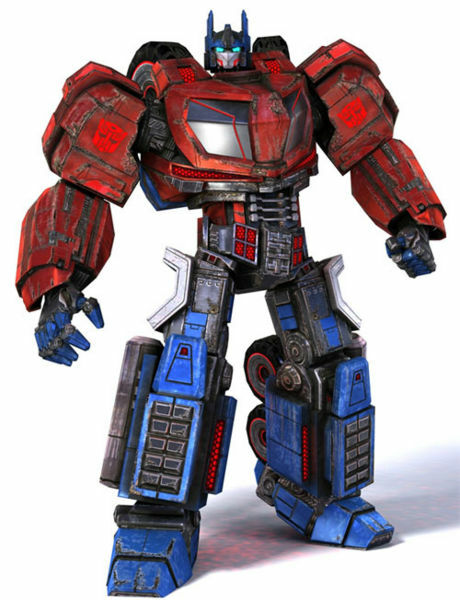 Magnus led many battles with the Wreckers during the war when Optimus was in charge, and both him, the Wreckers, and Cliffjumper all guarded the entrance to the Well of All Sparks while Optimus and co. went underground to purify the Core. Isn't it apparent that The Matrix took more memories than just until he got the Matrix. If it didn't, he would still know about the Autobots and Decepticons, he would still know that he was leader of the Autobots, he would still know that Megatron was his arch enemy, and he would still know that he was Optimus not Orion. Since Magnus had different job before leading the Wreckers, I guess Orion might not have known him yet even then. 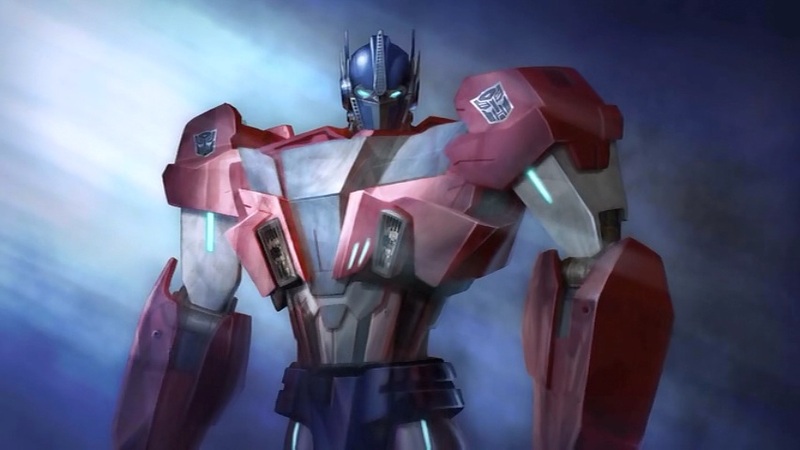 And idea just sprung to mind; What if that image Orion (Optimus' name of that time in that episode) sees on there is in fact a premonition of Optimus Prime Beast Hunter mold? Yeah, there are some similarites here. Who knows. It could be Ultra Magnus anyway. Unicron fan wrote: And idea just sprung to mind; What if that image Orion (Optimus' name of that time in that episode) sees on there is in fact a premonition of Optimus Prime Beast Hunter mold? Well, now that TFWiki has it confirmed, it's Magnus. Ok, then we got that confirmed. Sabrblade wrote: Well, now that TFWiki has it confirmed, it's Magnus. 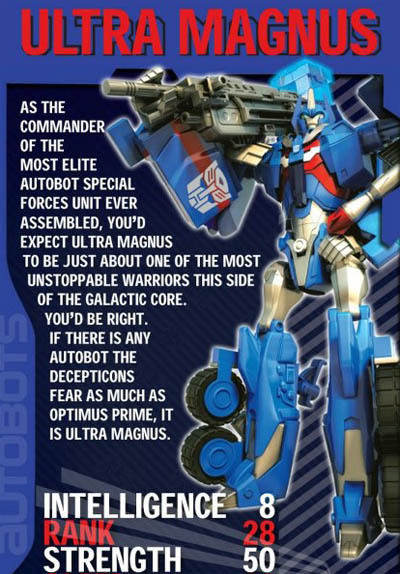 Been ages since I looked at that Ultra Magnus TFWiki page.